HMS Tiptoe, where are you now? HMS Tiptoe was a Vickers Armstrong built submarine launched in 1944. The Admiralty didn't much care for Tiptoe's name, but Winston Churchill did, and he got his way. She had plenty of time to get involved in the Pacific war, operating out of Australia, and had sunk a number of Japanese cargo ships. The ship was banged up plenty during the war, from depth charges and such, but got most of the dents in her hull from after the war. In 1955 a coastal steamer, Nordlys, crashed into her after first hitting a British destroyer in Tromso harbour. In 1964 she ran aground in the Firth of Clyde due to fog. And in 65 she ran into HMS Yarmouth. In 1967, Tiptoe was the oldest British submarine still in service, and when decommissioned in 1969 she was the last Triton class submarine left, a design from the 1930's. 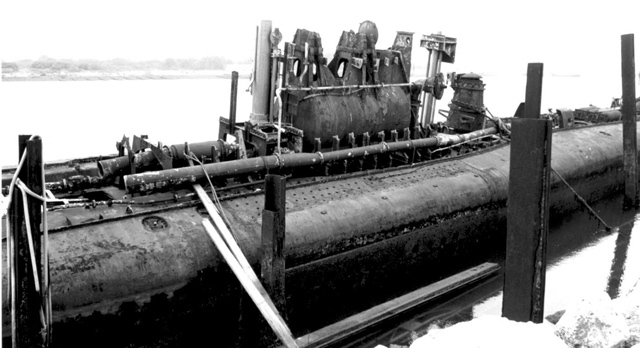 She was one of the first to have an all welded hull, which increased her depth to 350 ft, but was one of the last to have external torpedo tubes. 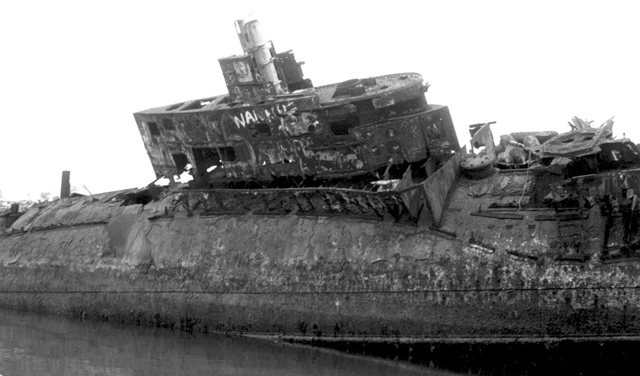 She was sent to a scrapyard in 1975 in Plymouth harbor, most likely where Steve Johnson found her. Steve Johnson is on a mission. He doesn't want the UK's history to disappear and is documenting and saving everything he can and posting it on the web. He has his work cut out for him, however, though he seems up to the task. When Geocities disappeared, a lot of his stuff did too, but he seems to continue finding servers with space and keeps coming back. 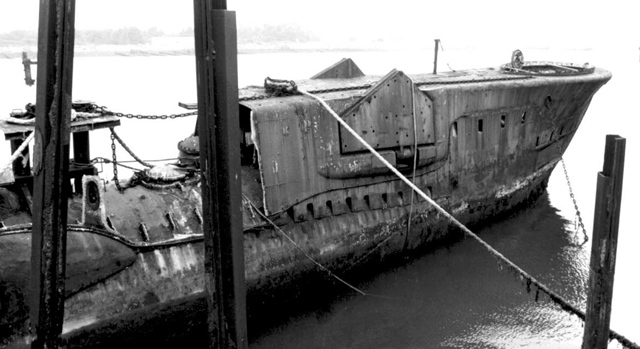 He ran across some old rusting British submarines one day back in the 80's, and only got pictures with a promise of not divulging their location, but it was most likely in Plymouth. The Tiptoe has undoubtedly been turned into consumer goods by now, and in that sense does have a bit of immortality. Nothing really ever goes away.